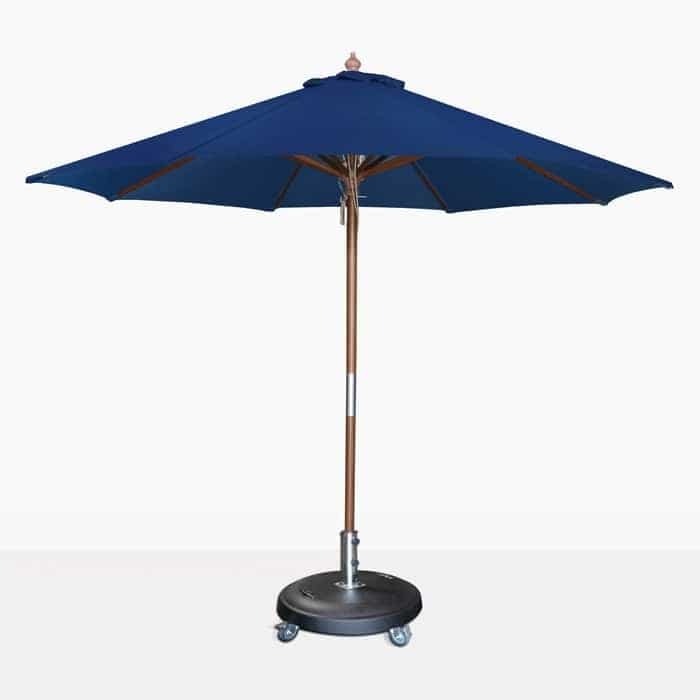 Complete your outdoor living space with our Dixon Round Umbrella in dark blue Olefin fabric. Add shade on sunny days and stay cool with this easy to use umbrella. The lovely blue color and hardwood pole have that fresh nautical vibe that just begs you to be outdoors. This round umbrella can provide shade over a dining area or relaxing area. It opens and closes with an easy to use pulley system with durable rope and hardware. We make it easy to stay safe and relaxed in the sun. Our Dixon Umbrella range offers different colors in a round or square canopy. These are fantastic choices to provide shade. Add 3 or 4 to your space for a uniformed look that is welcoming and functional. 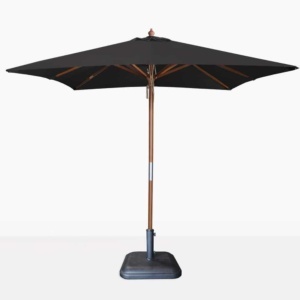 Design Warehouse offers are large selection of quality outdoor umbrellas. 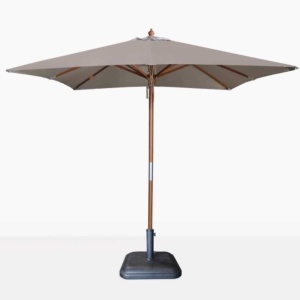 We also have the largest selection of cantilever umbrellas. These are amazing umbrellas that follow the sun by rotating or tilting with an easy to use handle. Visit our showroom to select the umbrella that will work in your outdoor space. Try out our cantilever umbrellas or pair up our Dixon umbrellas with your favorite dining set. We are open 7 days a week and look forward to helping you stay safe in the sun!